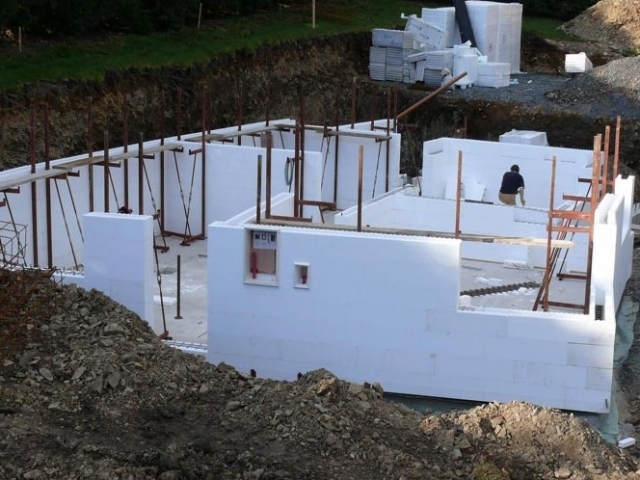 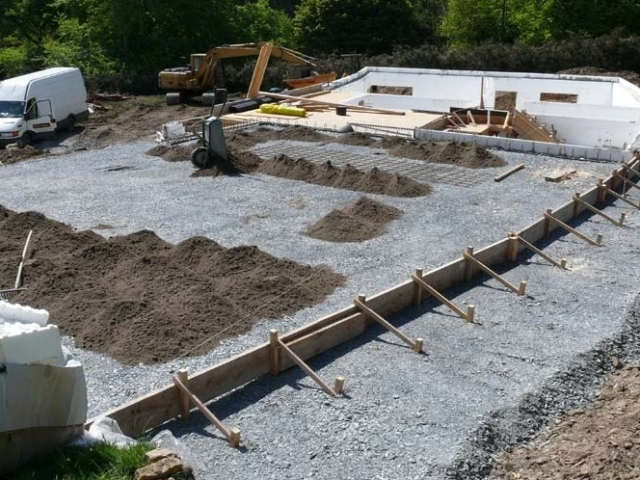 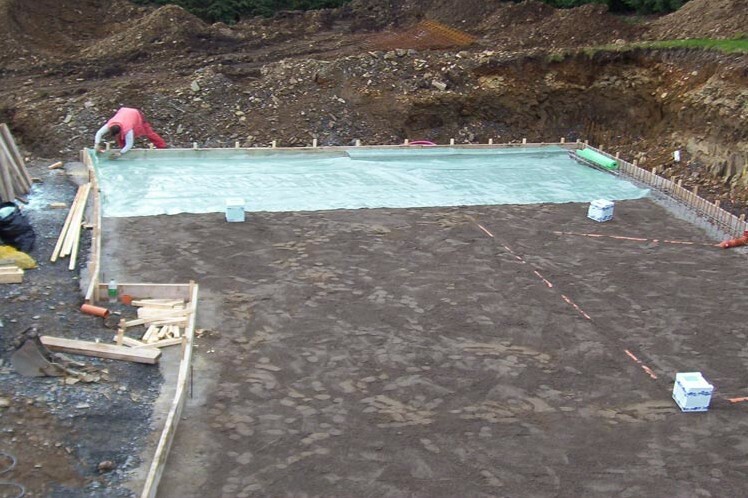 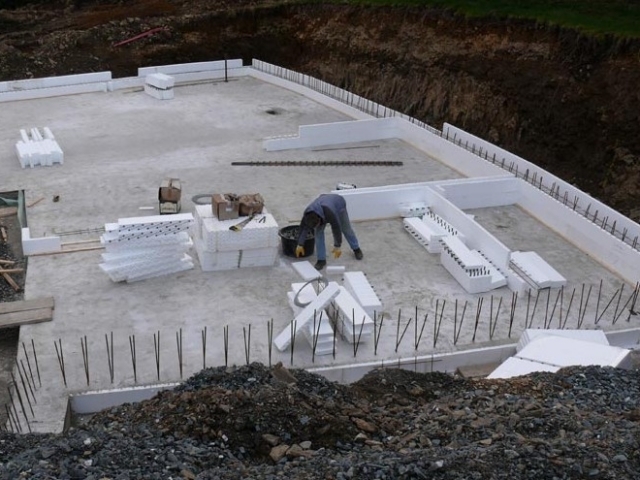 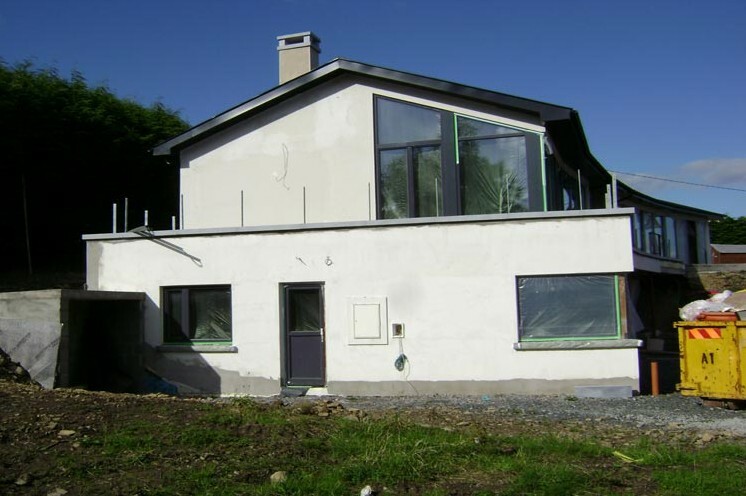 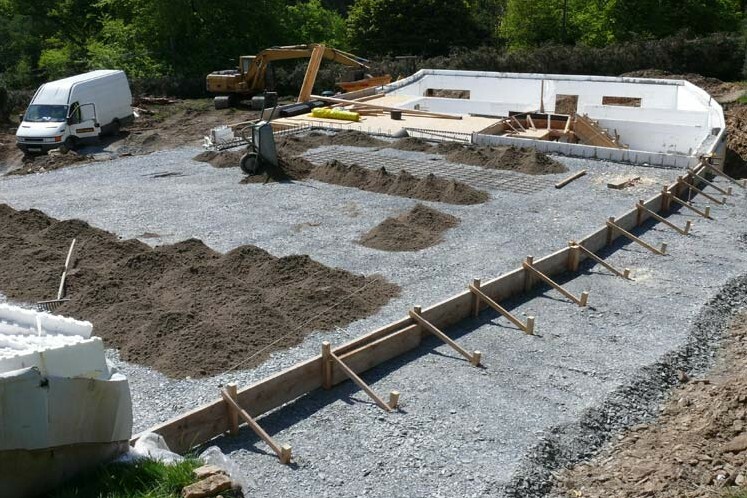 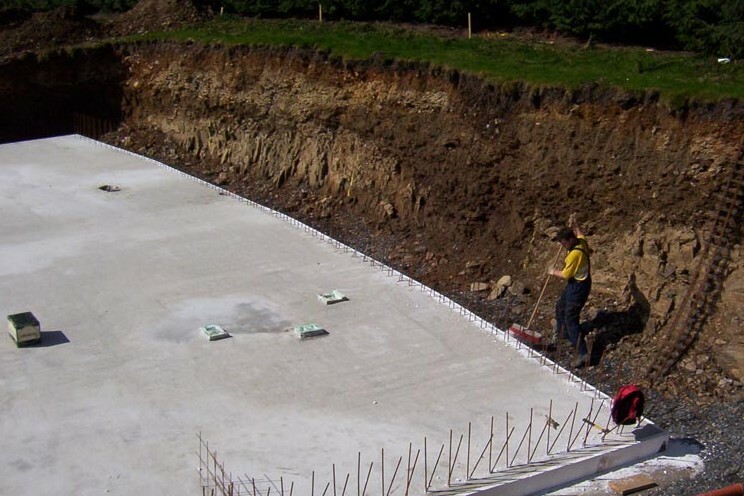 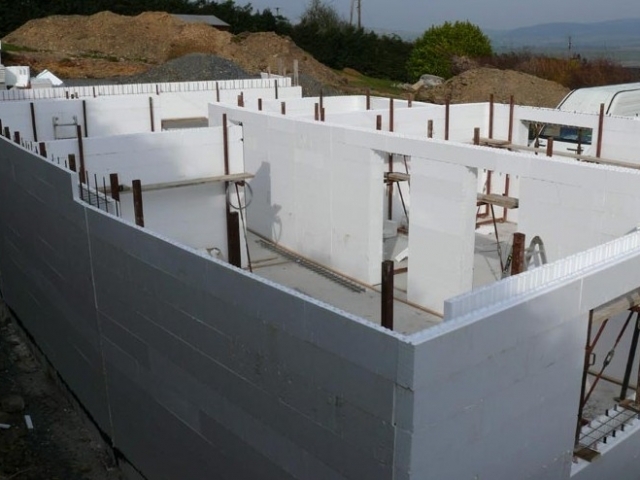 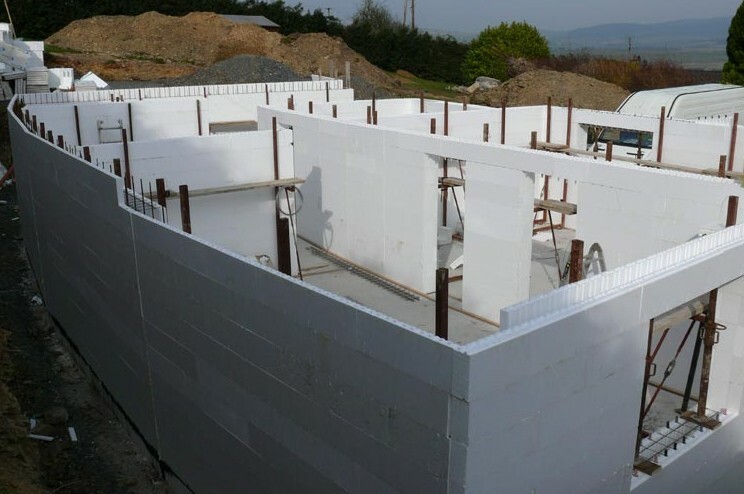 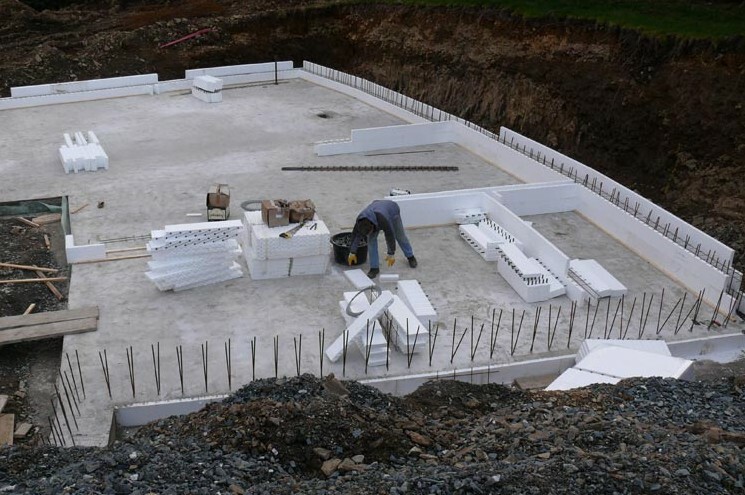 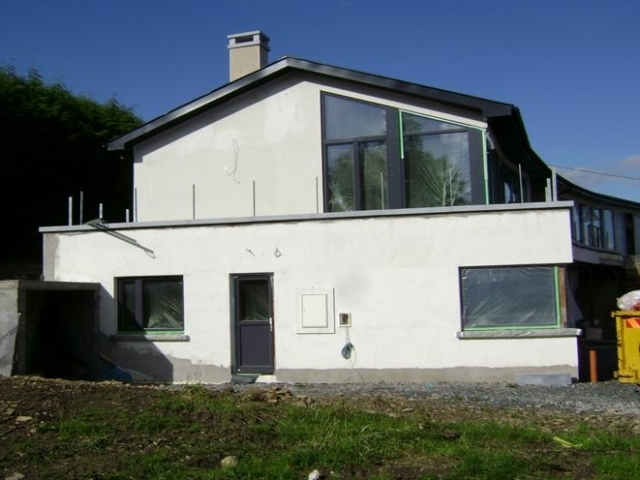 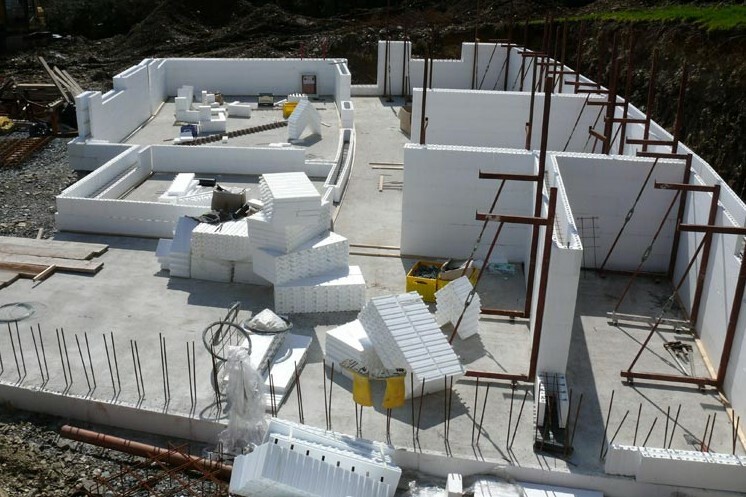 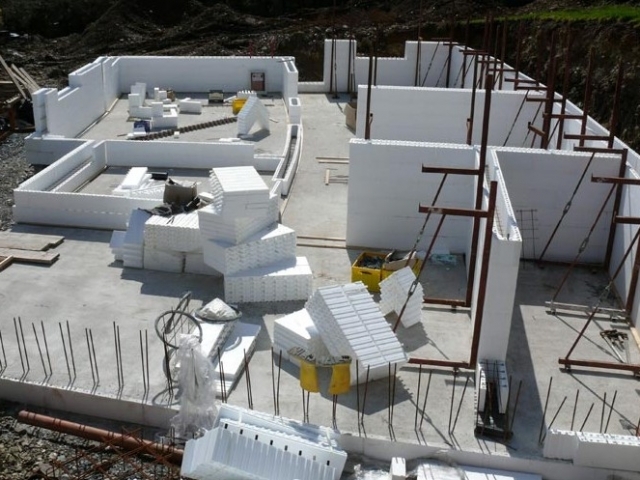 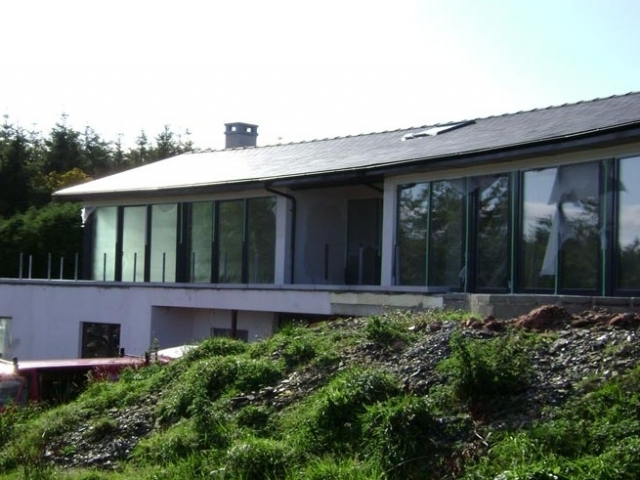 Project Description: two-storey Rhodipor Ecobuild ICF home, with split level, retaining and part internal walls. 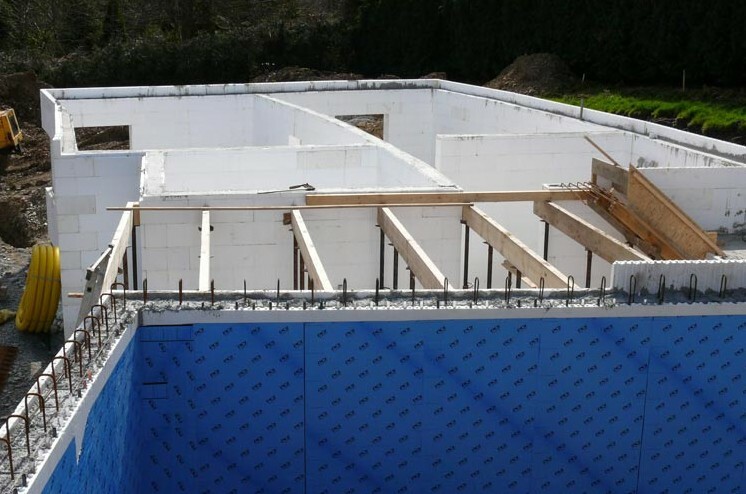 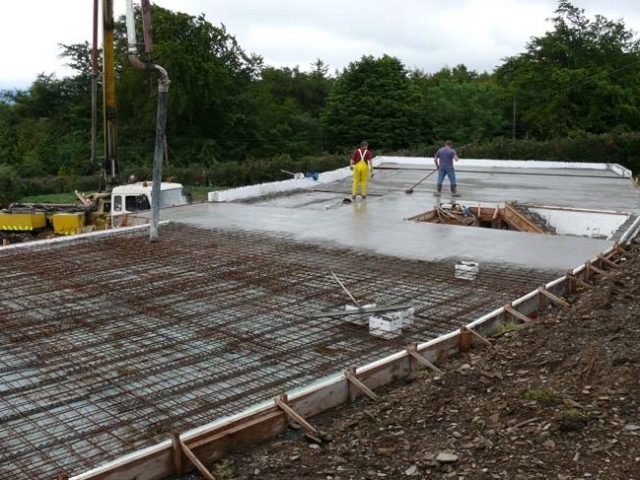 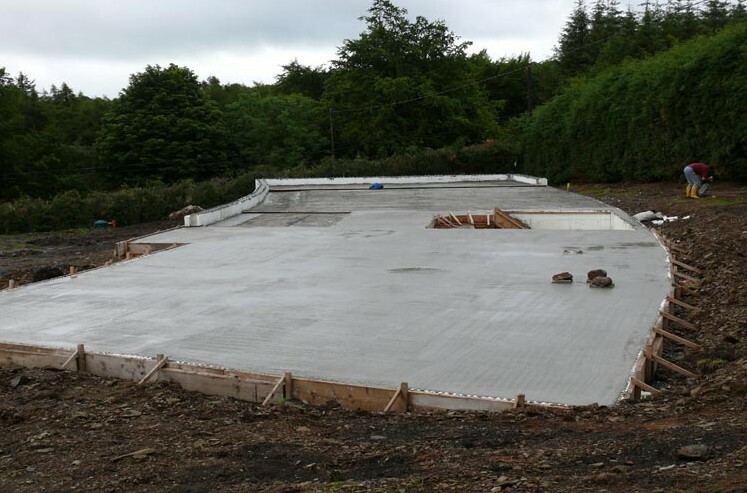 Floors: the first floor was constructed with precast concrete plank, but due to the curve of the walling additional works were required to infill. 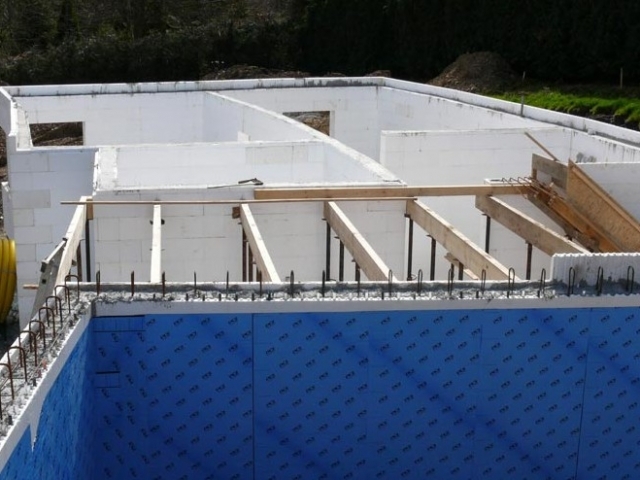 Roof: trussed rafters and slate. 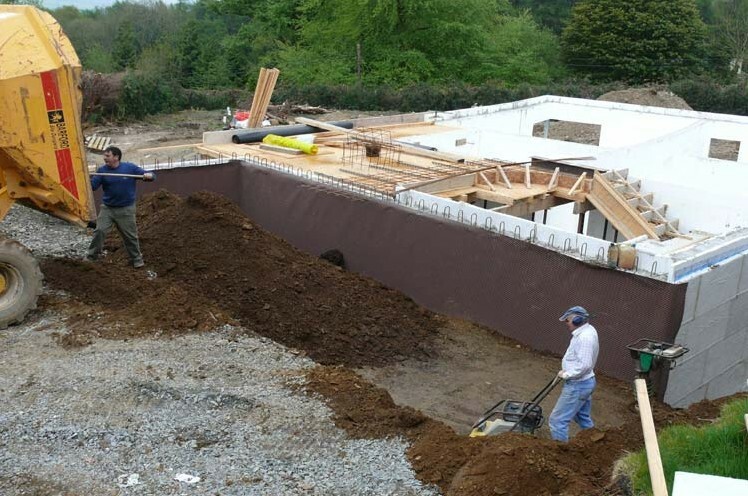 Cut into the side of a hill, and complete with the curved retaining wall this project was technically challenging but simple to construct with Rhodipor Ecobuild ICF. 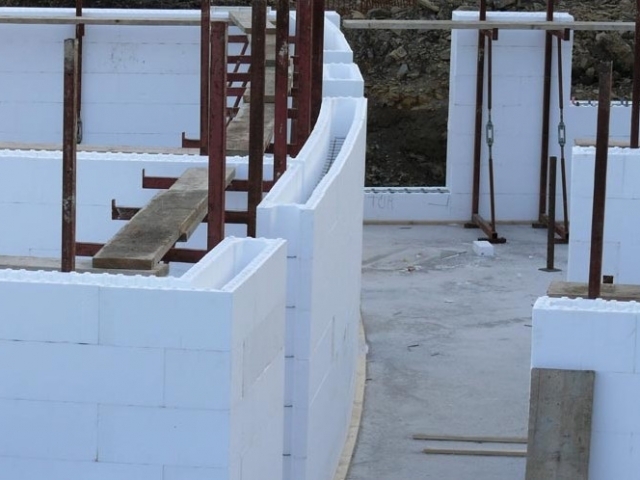 To ensure structural integrity to the walls the slab needed to be curved following the line of walling above with an attention to detail to the vertical reinforcing bars. 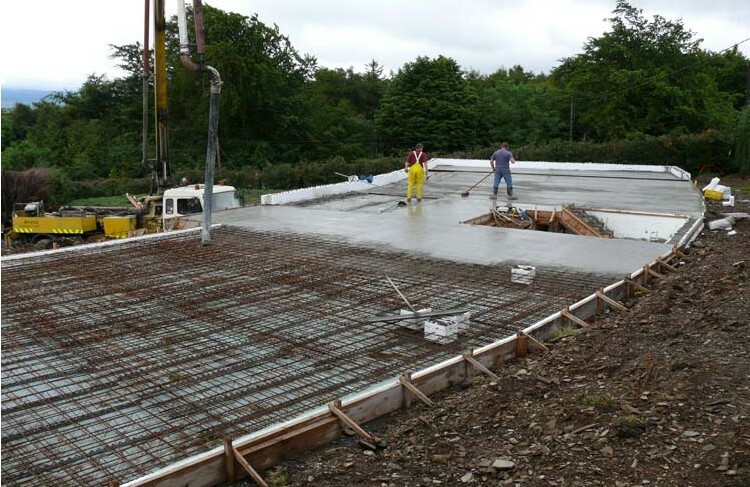 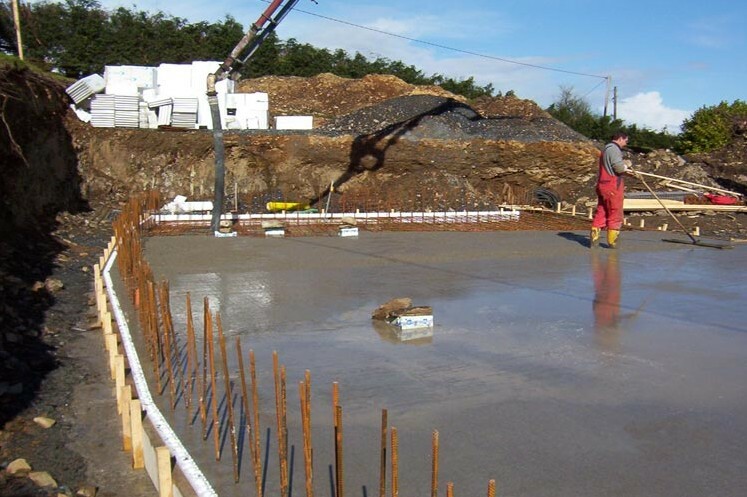 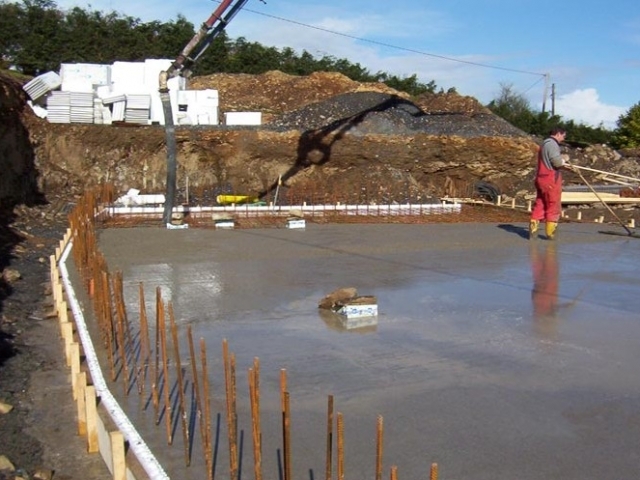 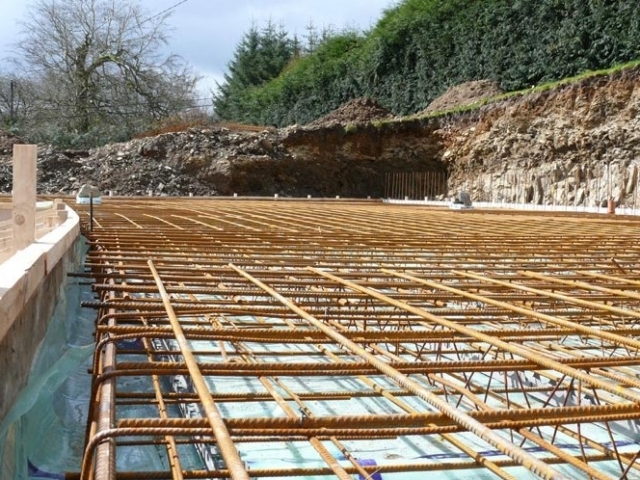 The vertical reinforcing from the foundations is then connected to reinforcing bars within the ICF wall. This continuity of structure allows the walls to retain the earth behind. 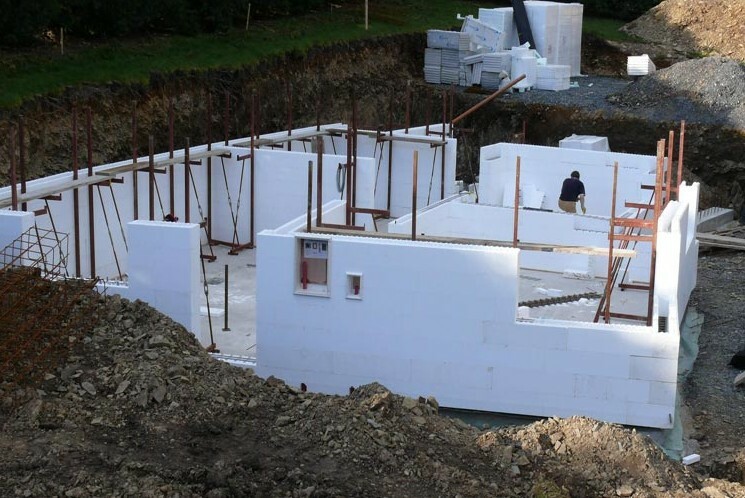 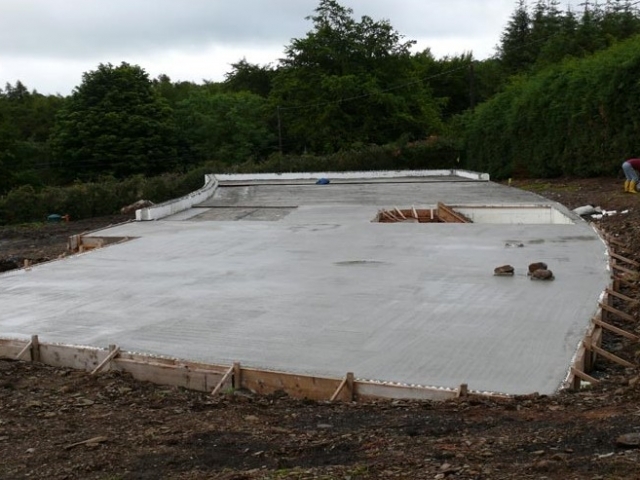 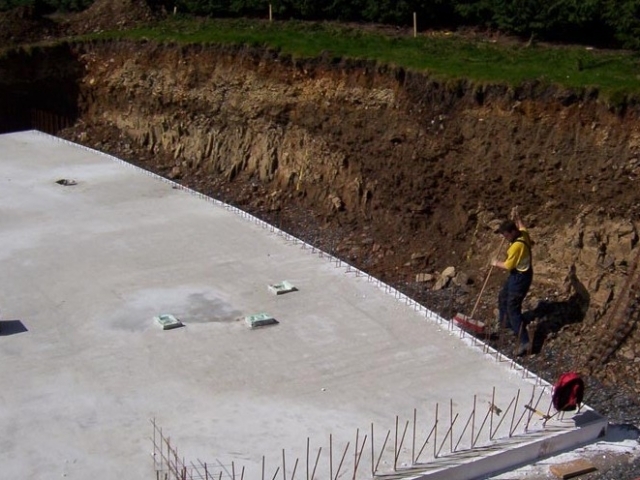 In such instances when ICF is used to retain the concrete core is increased from 150mm to 200mm. 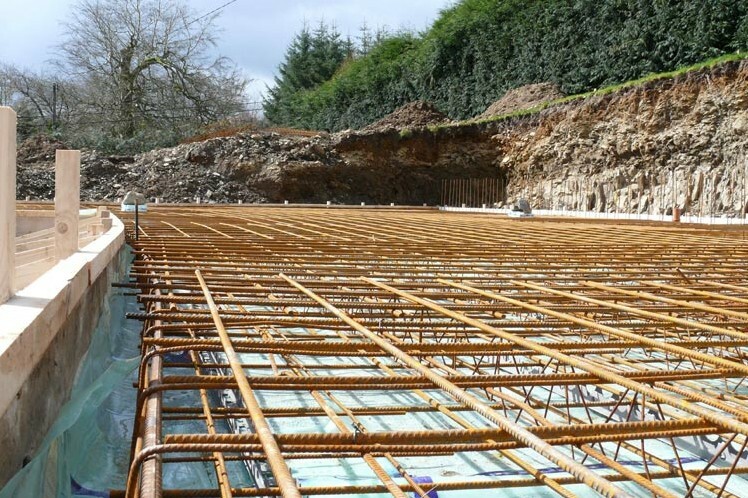 Additional reinforcing can then be added to the core vertically and horizontally whilst ensuring the correct amount of cover to the reinforcing as specified within an engineers notes. 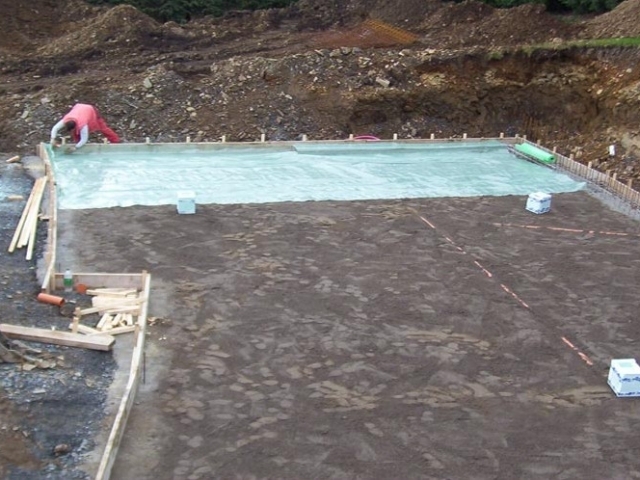 Above ground and to locations not retaining a 150mm core is retained at all times. 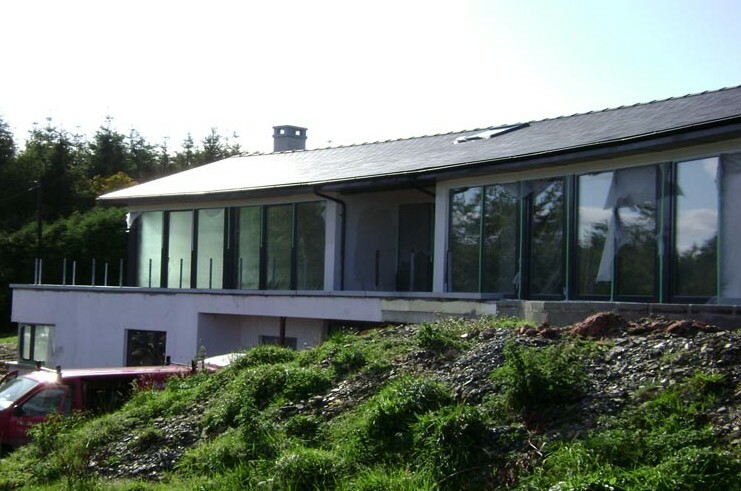 Rhodipor Ecobuild does not generally require any further steelwork above ground other than to form in-situ concrete lintels. 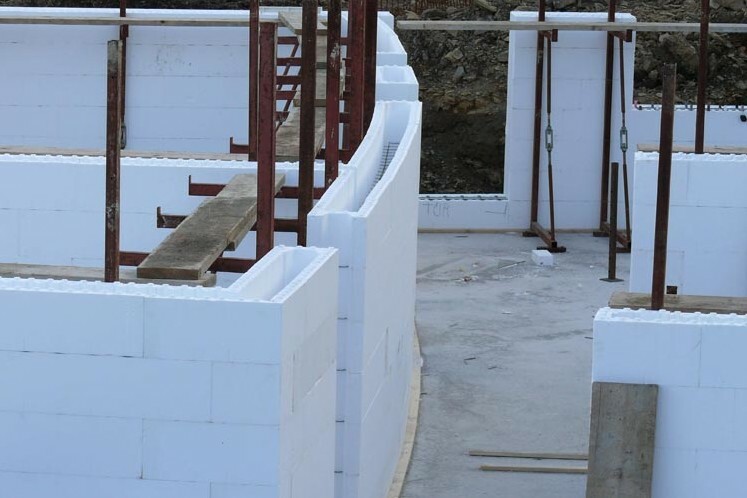 The curved retaining wall allowed the client to achieve the shape of the building they wanted, without loss of structural stability or insulation values. 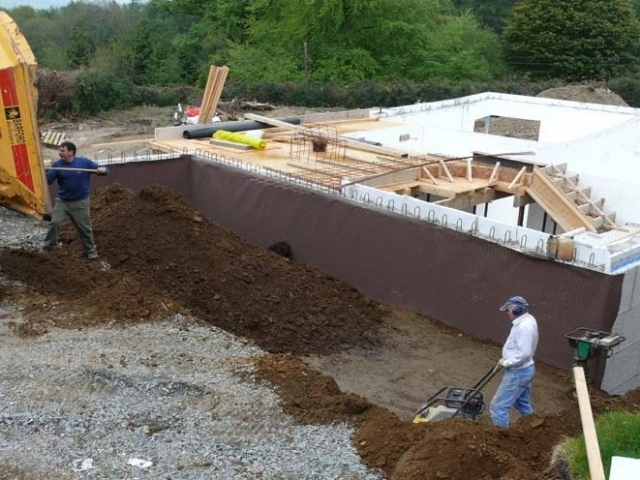 The project was initially shelved as the cost to construct the retaining wall using standard construction methods was so expensive.